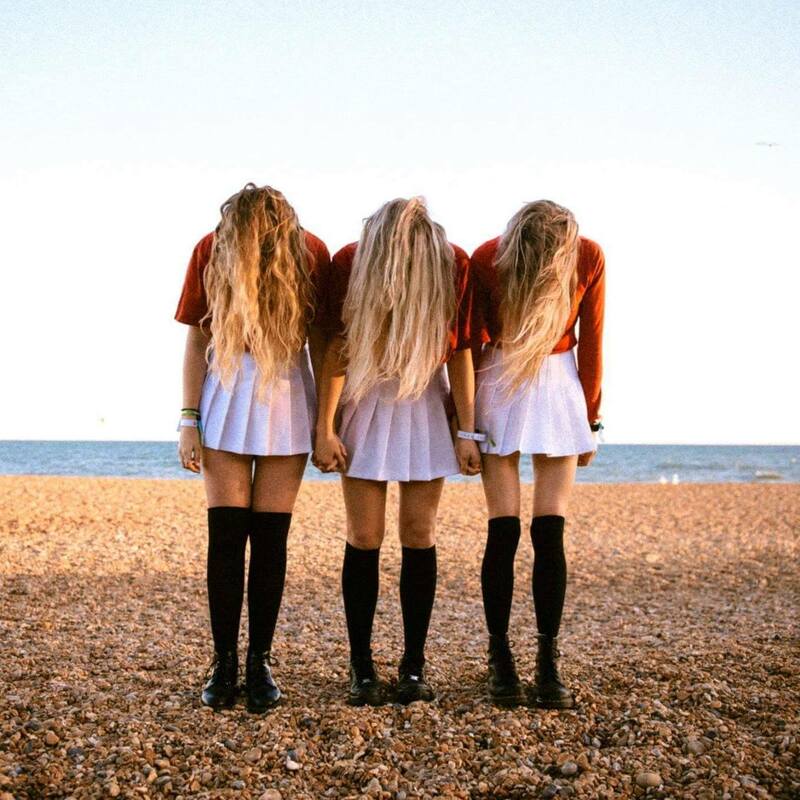 Hey Charlie are a London based grunge-pop trio. 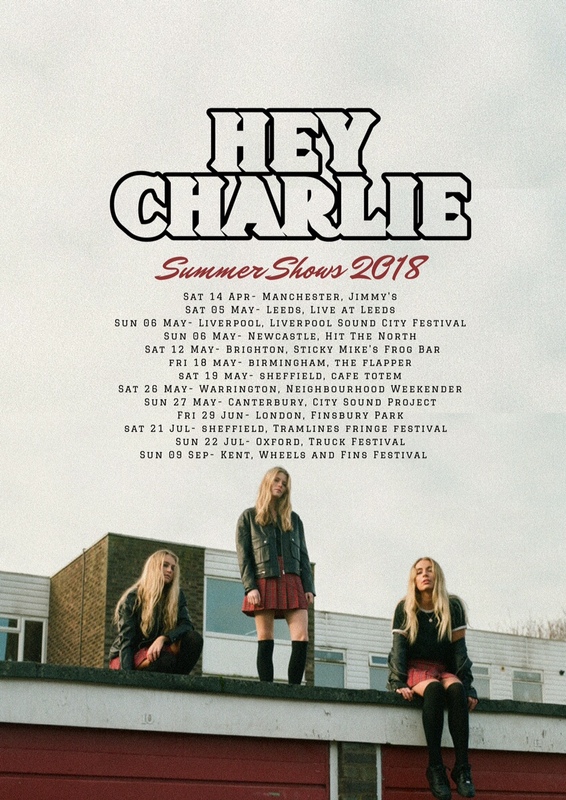 The initial tremors that led to the formation of Hey Charlie, took place in early 2015 when Lizz (guitars/vocals) and Sophie (bass/vocals) crossed paths whilst studying in London. Their friendship spawned from a mutual love of music, spurring their decision to form a band. Wanting to inspire other girls to also pick up instruments, Lizz and Sophie embarked on a journey for the final piece of the Hey Charlie puzzle. They finally found Lauren (drums) and hit it off immediately, thus Hey Charlie was born. William Hughes: You must get this question all the time but, how did you guys meet? Lizz: Sophie and I met at university a few years ago and starting writing together almost even before we knew each other’s name. Sophie: Yeah, we met in a lecture studying business & right after that lecture finished we went straight to a rehearsal room and it hasn’t stopped since then. Then about a year ago we met Lauren and it just clicked. Lauren: They basically found me through Facebook stalking. After we jammed for the first time, it just felt like it was meant to be. WH: ‘Love Machine‘ is an awesome track, what does your writing process look like? Lauren: Ah thank you! All three of us write and there’s not really any methodical process at the moment. Sophie: Yeah, every song has been a bit different for us. We wrote ‘Love Machine’ together in a rehearsal when Lizz came in with the riff and verse idea. Lizz: With ‘Love Machine’, I came in with an idea and we jammed it and just worked from there. It came about really quickly. It depends on the song though, we write in all different ways! WH: You were on the road with All Time Low, how was that experience and how was it all put together? Sophie: For us being on that huge tour at such an early stage in our career was completely insane and one of the most incredible experiences ever. We owe ATL a million takeaway pizzas for giving us that opportunity! Lizz: I think Alex heard our first single ‘Hey’- they then later played it on their BBC Radio 1 takeover, which was so crazy for us. Shortly after he got in touch and offered us the support slot on the European tour. But yeah, the tour was a dream & getting to play to all their amazing fans every night was the best. Lauren: Playing to that many people every night & hanging out with the lads and their team & their amazing fans was something that we could never forget! WH: We know you had a busy 2017 with touring and festivals. What were your highlights? Lauren: Playing Hyde Park with Green Day was one of our first ever festivals and had to be one of our highlights. The turn-out was incredible and we weren’t expecting it at all! Sophie: Yeah, BST Hyde Park with Green Day was insane. They treated us like badass rockstar princesses! Lizz: Yeah I agree. I’d say that another, although maybe obvious highlight, was our first ever release, ‘Hey’. The reaction we got was incredible and we totally didn’t expect it. WH: Whats next for Hey Charlie this year? Lizz: We have a lot coming this year. We’re going to be releasing a lot of new music- starting with ‘Love Machine” which is out on the 1st of March with an awesome video directed by Ned Botwood. Lauren: We’re also going to be hitting the festival circuit. Sophie: We’re starting the festival season early playing at Radar Festival in Zurich on the 3rd of March. It’s gonna be a big one & we’re pretty pumped. Sounds exciting! We can’t wait to see what the future holds for Hey Charlie!